8-Fluoro-quinoline/3-Iodo-quinoline--Shijiazhuang Jing Kang Technology Co.Ltd. Base on the core technology of organic chemistry and pharmaceutical chemistry,Shijiazhuang Jing Kang Technology Co.Ltd. 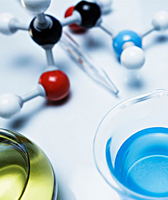 devote to collect, supply and R&D of chemicals. our products mainly include S/R amino alcohols, Series of chiral amino acids and Heterocyclic series such as Tetralone,	2,3-Dihydro-4- benzopyranone,indone,Quinoline,pyridine,thiophene,pyrimidine. Custom synthesis: getting your offer product customization of heterocyclic compounds, at the same time clients also can provide quinoline, nalidixic series structure, you need we to route design and synthesis, in has its unique synthetic quinoline, nalidixic ways we experience. The core technology: getting in terms of quinoline, nalidixic synthesis has certain advantages, can undertake quinoline, nalidixic, research and development of new compounds. Custom other heterocyclic: pyridine, pyrimidine, pyrazine, pyrrole, thiophene, boric acid.